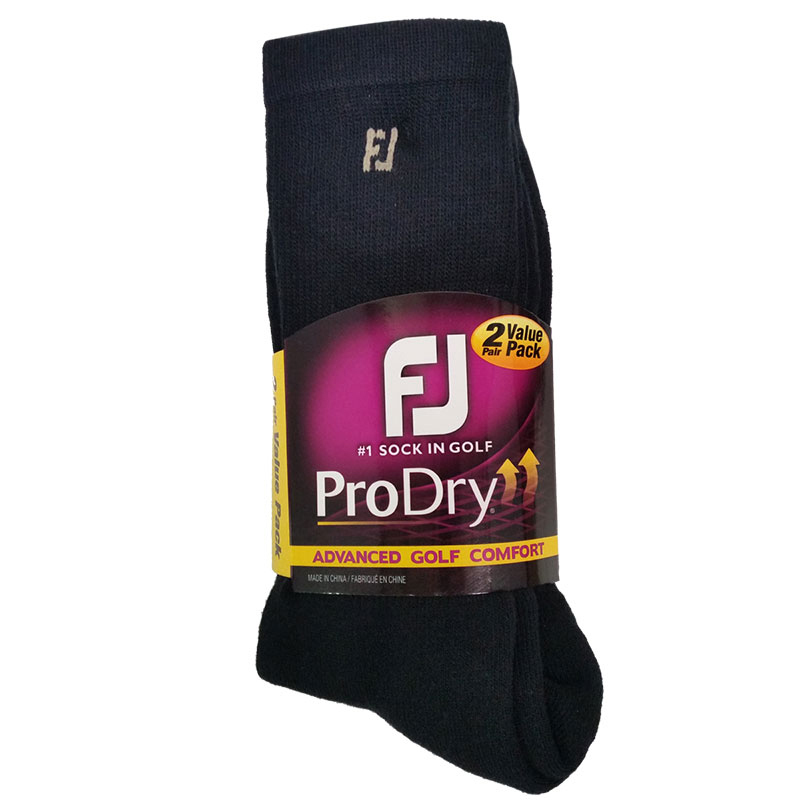 Provide your feet with the ultimate golf socks that provide incredible comfort. 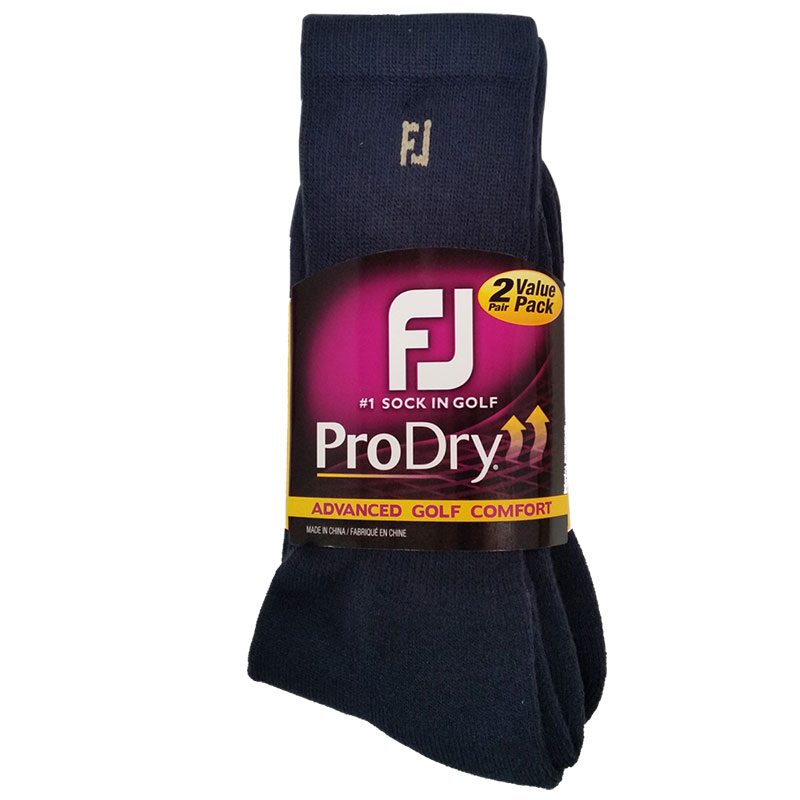 The FootJoy ProDry 2 Pack Socks have been made with exellent comfort technologies to ensure great cushioning, support and moisture control. Thanks to the fully cushioned sole, these socks provide superb support and ultimate comfort. Comfort is enhanced with Comfort Seam Toe Enclosure for a comfortable smooth fit. It also benefits from DrySof Moisture Control Technology throught the sock and is complete with a double-layer reinforced heel provides added durability.